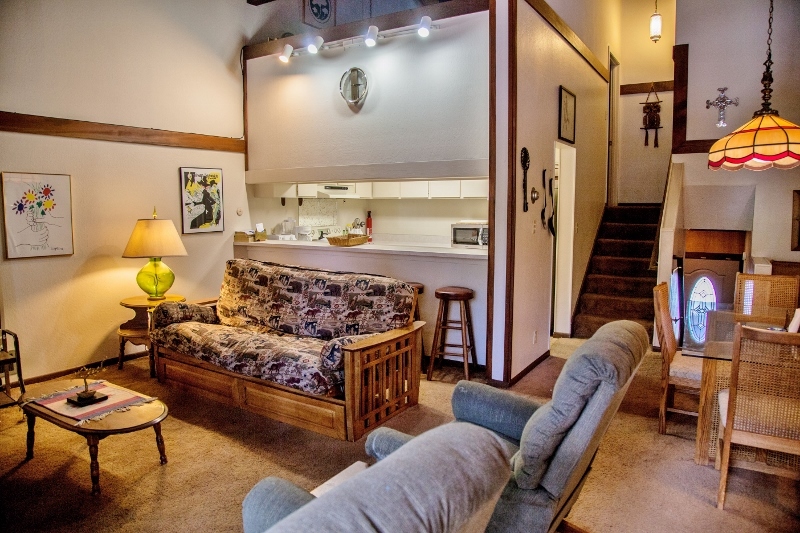 Dog-Friendly - Shared Hot TubFamily Townhouse is a fun North Lake Tahoe vacation rental, centrally located on the North Shore, just 1 mile East of Tahoe City, and a short distance from the lake. 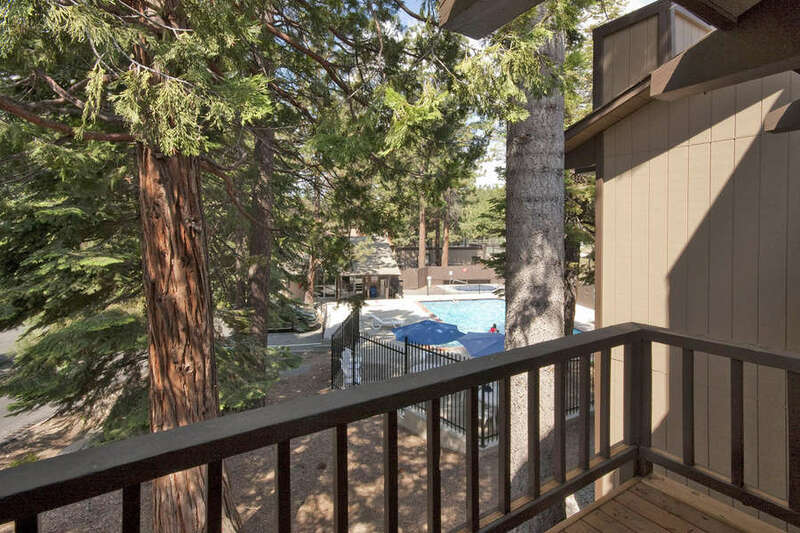 This conveniently located Tahoe vacation rental offers well maintained facilities within the Dollar Hill 2 condominium complex including a sauna, game room, and a heated pool and tennis courts in the summer months. Snow removal is provided in winter months. This rental does NOT have WiFi. 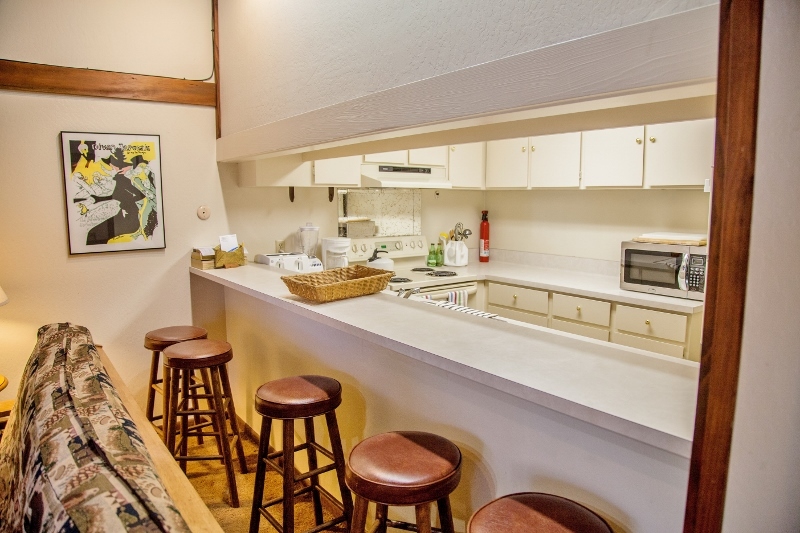 The Family Townhouse (DH2#16) is a fun North Lake Tahoe vacation rental, centrally located on the North Shore, just 1 mile East of Tahoe City, and a short distance from the lake. 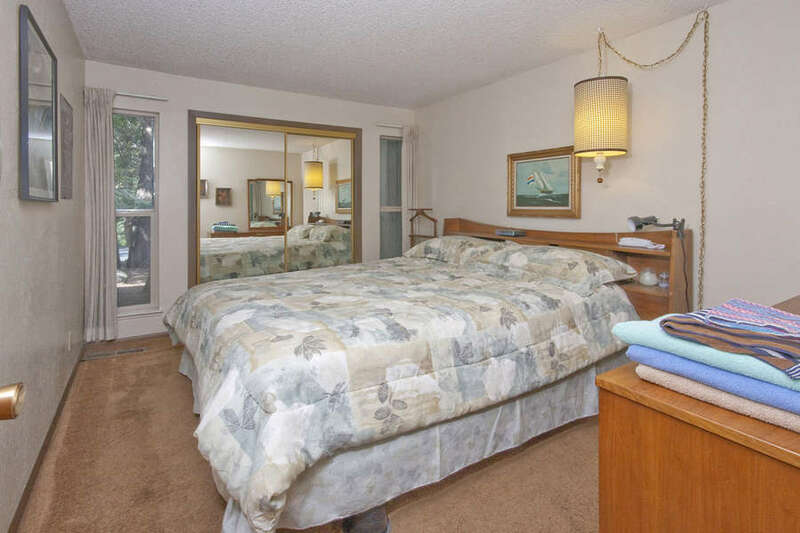 This conveniently located Tahoe vacation rental offers well maintained facilities within the Dollar Hill 2 condominium complex including a sauna, game room, and a heated pool and tennis courts in the summer months. Snow removal is provided in winter months. 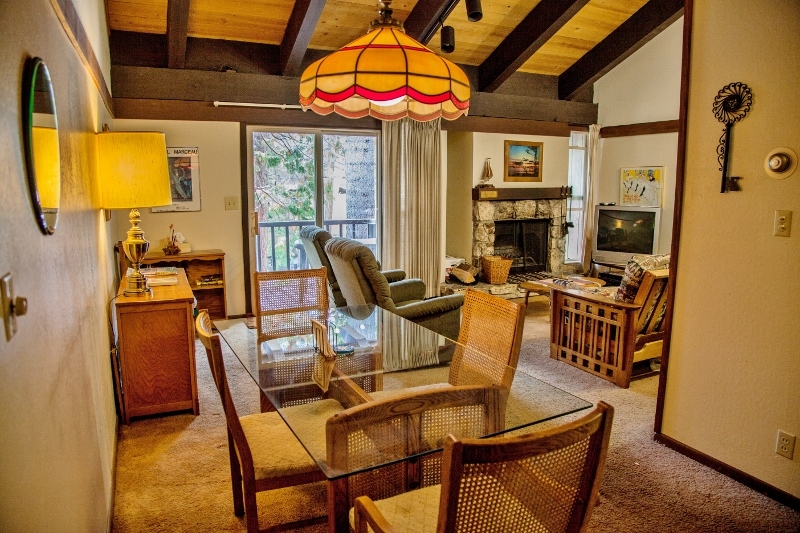 Step back in time with this 3 bedroom plus den, 2 1/2 bath condominium which overlooks the swimming pool in the Dollar Hill II community. 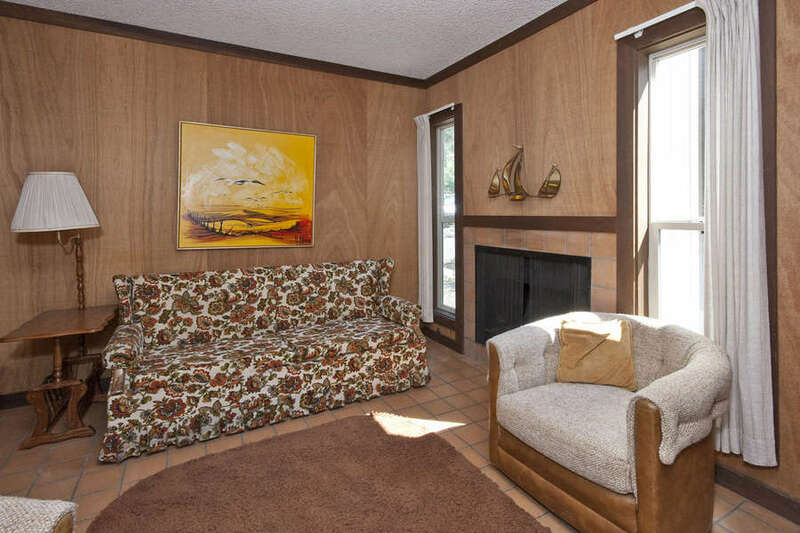 This condo is fully furnished in a 60's decor and offers a comfortable Tahoe feel. 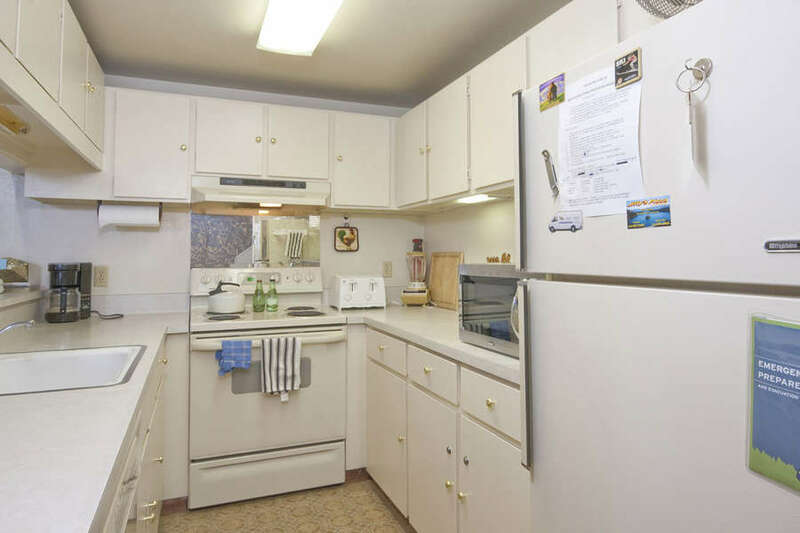 This unit is a split level home with a den on the entry level that hosts a hideaway bed, and a main floor living room with a Queen sofa bed. 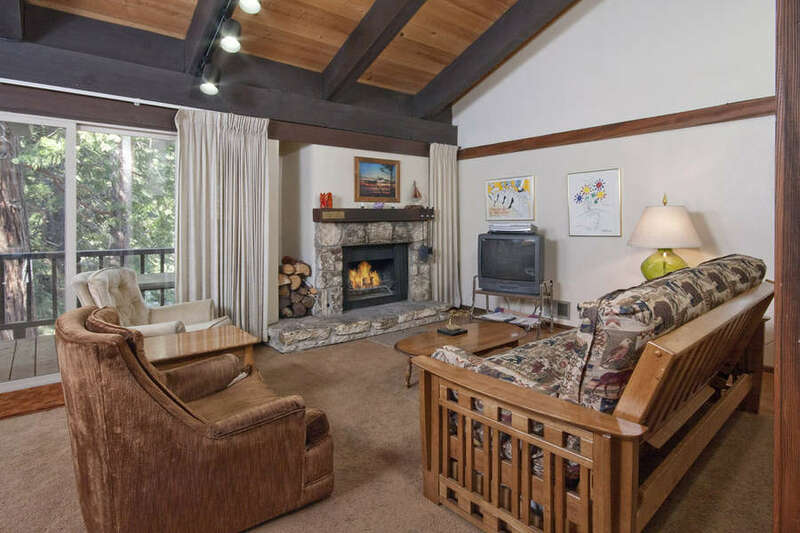 The large stone fireplace is a great place to sit around with friends after a long day of hiking or skiing around Lake Tahoe. Please note this property doesn't have WiFi. 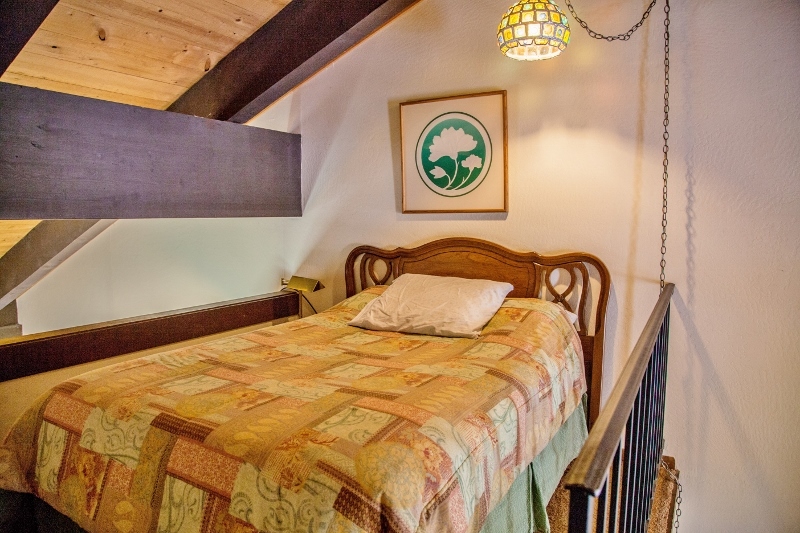 Downstairs there are two bedrooms one with a King size bed and the other with two twins. 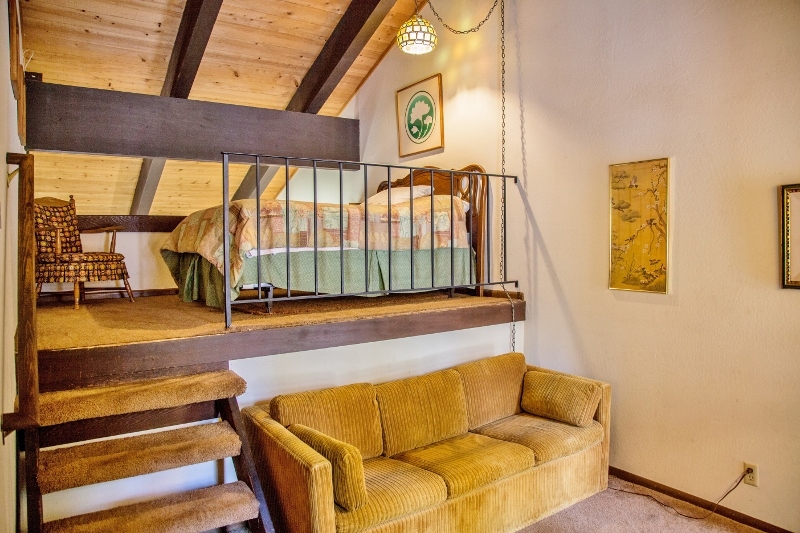 The upstairs area includes a sitting room with a Queen sofa bed and a Double bed located in the loft. Parents can sit on the back sunny deck with their cup of coffee and watch the family splash in the pool. 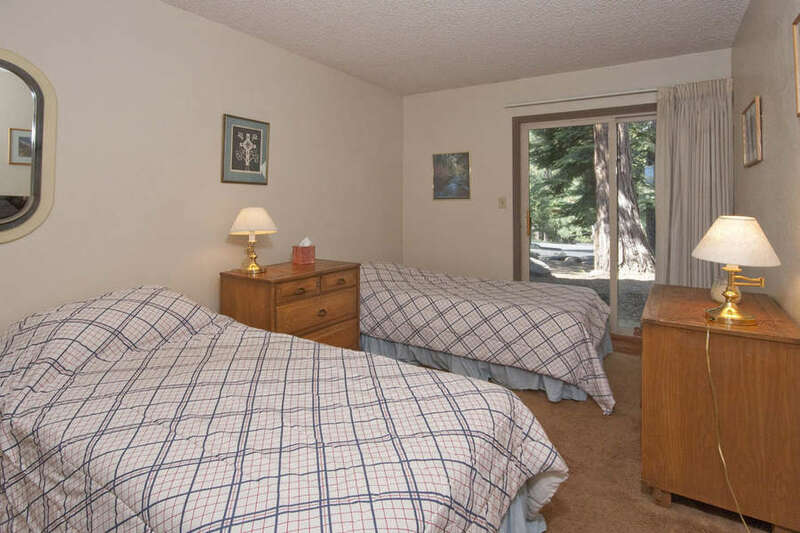 This North shore condo is close to all main attractions of North Lake Tahoe. 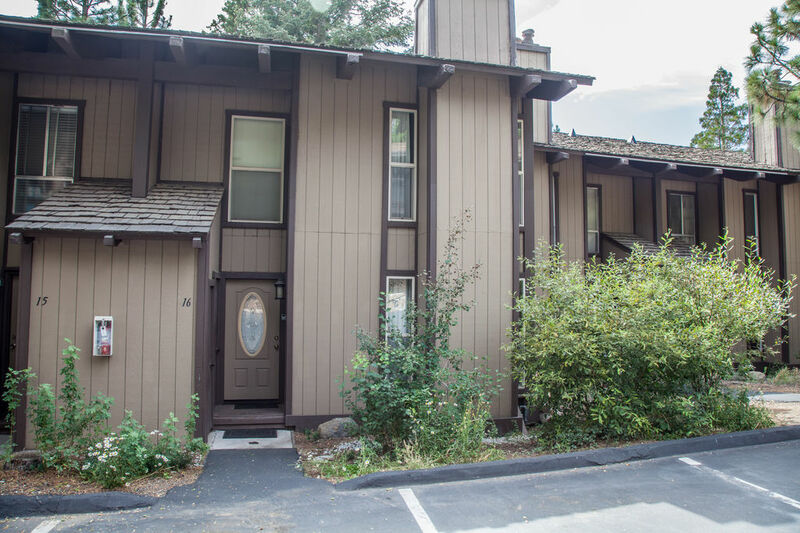 A 2-minute car ride or a 10-minute bike ride (North Tahoe bike path is right across the street) into Tahoe city allows for easy access to shopping, supermarkets, movie theaters, dining, nightlife, and entertainment. Drive 15 minutes to the Nevada State Line for gambling and big-name music venues at the North Shore casinos! For world-class downhill skiing, Squaw Valley and Alpine Meadows Ski Resort are within a 15-minute car ride. Some of Tahoe's finest cross country skiing trails are located right in your backyard. These trails provide for great hiking, dog walking, and mountain biking in the summer months. 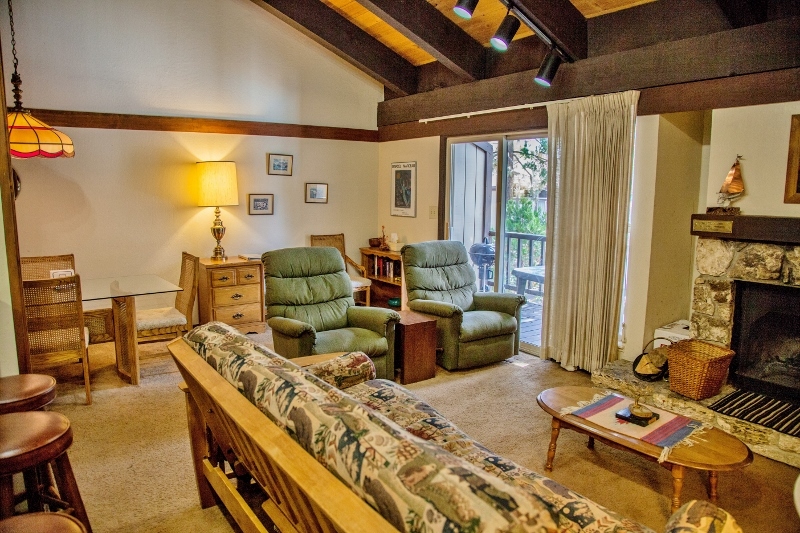 There are many options for the outdoor enthusiast in both winter and summer months!